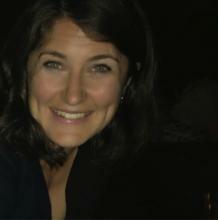 Meredith Martin received her Ph.D. in Comparative Literature from the University of Michigan, under the direction of Yopie Prins. Though she began her graduate studies as a post-colonialist interested in twentieth-century poetry, she realized that her interests in colonial education and poetic form had deeper roots in nineteenth-century education. This research into ninteenth-century metrical cultures in England led to her first book, The Rise and Fall of Meter: Poetry and English National Culture 1860-1930. At Princeton, where she has taught since 2006, she specializes in anglophone poetry, historical prosody, historical poetics, poetry and public culture, and the history of English as a subject of study. She is the Faculty Director of the Center for Digital Humanities at Princeton, which started under her leadership in 2014. Her book, The Rise and Fall of Meter, Poetry and English National Culture, 1860-1930 (Princeton UP, 2012), was the winner of the MLA Prize for a First Book, the Warren Brooks Prize for Literary Criticism, and co-winner of the Sonya Rudikoff Prize for the Best First Book in Victorian Studies. She has been building and directing, since 2007, the Princeton Prosody Archive, which contains writing on poetics, prosody, rhetoric, grammar, speech, and literary history published between 1570-1923. Princeton graduate student Meagan Wilson is the project manager. Martin also oversees Poetry@Princeton, a calendar of poetry events on campus, to which she invites you to subscribe. Her current book project is titled The Invention of English Poetry and it uses the resources of the Princeton Prosody Archive to investigate the intersection of philologic and poetic theories of language and form from outside of England. She teaches Reading Literature: Poetry, The Literature of the Fin de Siècle, Nineteenth Century Poetry, Modern Poetry, graduate courses in Historical Poetics and Victorian Poetry, and Literature and War. “’Imperfectly Civilized’: Ballads, Nations, and Histories of Form” ELH, 82.2, 345-363. Entries on “Robert Bridges” (3,500 words) “Prosody” (3,500 words) in The Encyclopedia of Victorian Literature (Wiley-Blackwell), edited by Dino F. Felluga, Pamela K. Gilbert, and Linda K. Hughes. “Georgian Poetry and the “Genteel’ Tradition,” with Erin Kappeler, in A Companion to Modernist Poetry (London: Wiley-Blackwell), edited by David Chinitz and Gail Macdonald(University of Southampton) with Erin Kappeler. 197-208. “Alice Meynell” in The Oxford Handbook of Victorian Poetry, (Oxford: Oxford UP, 2013) edited by Matthew Bevis, 579-590. “Was there a Decadent Metre at the Fin de Siècle?” in Decadent Poetics (New York: Palgrave Macmillan, 2013), edited by Jason David Hall and Alex Murray, 46-64. “Rupert Brooke’s Ambivalent Mourning, Ezra Pound’s Anticipatory Nostalgia” in Modernism and Nostalgia (New York: Palgrave Macmillan, 2013) edited by Tammy Clewall 183-197. “Victorian Prosody: Measuring the Field,” Victorian Poetry special issue on Victorian prosody, 49.2, Summer 2011 (149-160). “Hopkins’s Prosody,” Hopkins Quarterly special issue on Gerard Manley Hopkins’s Prosody, 38.1-2, Winter-Spring 2011 (1-30). “Gerard Manley Hopkins and the Stigma of Meter,” Victorian Studies 50.2, Winter 2008 (243-253). “Picturing Rhythm” in Critical Rhythms (Fordham UP) edited by Jonathan Culler and Benjamin Glaser.